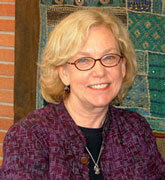 Judith (Judy) Olsen will be retiring from Falvey Memorial Library in February. In addition to her role as the Communication and Publications team leader, Judy also served as the subject librarian liaison to the English and Theatre departments and the coordinator for that humanities liaison team. With University Librarian Joe Lucia, Judy and other Communication team members, Joanne Quinn, Corey Arnold and Gerald Dierkes, assembled the successful application for 2013 Excellence in Academic Libraries Award for the university level, conferred by the national Association of College and Research Libraries and YBP Library Services. Judy was a member of Falvey’s Management Policies Group and Resource Council, and served on the University Middle States Institutional Self-Study. Most recently, at Lucia’s request, she initiated two task forces to enhance communication during the recent Falvey renovation and Learning Commons integration. She began her tenure at Falvey in 1988 as a reference librarian although, in the 1970s, she worked in reference part time before joining Cabrini College (Radnor, Pa.) as Readers’ Services Librarian. At Cabrini, she managed circulation, reserves and the education curriculum collection while also teaching research workshops and fielding reference questions. The Falvey reference position was a good fit for Judy although moving to a busy university library was not always a smooth transition. “After my first incredibly busy evening shift, I was so distracted I drove most of the way home without turning on my car’s headlights,” she remembers. At Falvey, she became the English subject librarian and, later, the Theatre subject librarian. “The English department is an integral library partner, and I have especially enjoyed working with their students and faculty. Teaching the Theatre dramaturgy students has been a delight and a real learning experience,” she notes. Judy has taught research strategy sessions for both departments, but also Honors, journalism, communication, business, biology, liberal studies and art history, at the graduate and undergraduate levels. With colleagues, she led international student orientations for the Office of International Student Services and taught summer sessions for Campus Ministry’s Books ‘n Hoops camps. In the late 1990s, Judy, Barbara Quintiliano and other teaching librarians, together with Augustine and Culture Seminar (formerly Core Humanities) administrators and faculty members, developed course-integrated sessions specifically aimed to help first-year students become more proficient with their research. Falvey’s Instructional Services team and first-year-experience librarian Rob LeBlanc actively continue this tradition. In 2000, Judy collaborated with former librarian Teresa Bowden, former biology lab coordinators Jamie Trout and Katie Friggle-Norton, and Angela DiBenedetto, PhD, Biology professor, to develop the General Biology scientific information literacy curriculum. Still going strong today, the Gen Bio program is directed by science librarians Robin Bowles, Barbara Quintiliano and the Biology faculty. Lucia named Judy leader of the new Communication & Publications team in 2006 although she’d been involved with library publications and communications efforts since the first iteration of the Falvey newsletter in 1994. The Communication team publishes the Falvey home page blog, the home page banners and the print News From Falvey, just a few of the numerous activities aimed at promoting the message of Falvey Memorial Library and the broader world of libraries as part of its overall mission. The Communication team also participates in University Communication initiatives. When asked about favorites, she selected some highlights from her tenure at Falvey: the Graphic Novels event series with Laura Hutelmyer, the Open Mic and Senior Class Poet programs with Lisa Sewell, PhD, English, and Gerald Dierkes, and the Pulitzer Prize Fiction exhibit in 2000. “It’s been my privilege to work with many wonderful students, faculty members, administrators and staff from across the University. I hope to continue these rich Villanova connections in my life after Falvey,” she said. Judy’s professional activities included the Association of College and Research Libraries (ACRL) Literatures in English section, the ACRL Delaware Valley Chapter board, the Modern Language Association and the Association of Library Communications & Outreach Professionals. She graduated from Luther College (Decorah, Ia.) with bachelor degrees in English and history, holds a master of librarianship degree from the University of South Carolina, with membership in Beta Phi Mu, the library and information studies honor society, and earned a master’s degree in English from Villanova University. We’ll miss you. Enjoy retirement. Thanks. So far, so good! Congratulations to a dedicated individual who I am so glad to call friend! Your love of literature and word power made you a great resource for so many! Enjoy! You might remember me mainly because I was the oldest student in graduate English (graduated in 2002 at age 68–just turned 80.) I enjoyed knowing you–used to see you now and then at the Irish Studies events and hope to see you there again. I enjoy seeing Dr. Ormsby-Lennon there. I keep in touch with Lucy McDiarmid and see Jim Murphy occasionally. I’m still hanging in there–started working again and I’m 5 years with Montgomery County. Hope you enjoy your retirement. You will certainly be missed at Villanova.